In our endeavours to keep our children safe it’s common to feel a tad paranoid and overprotective until a story comes to light that just validates your concerns as a parent. 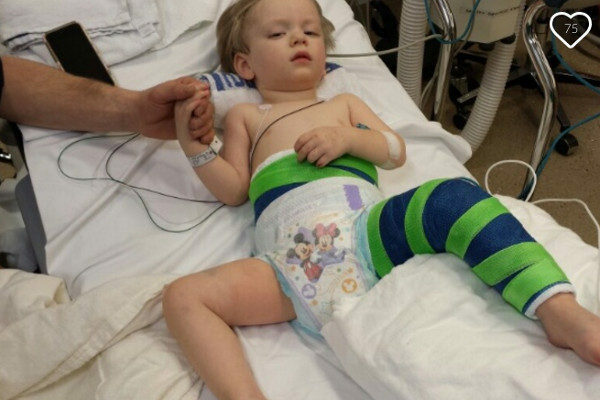 When you see the images of a twisted car wreck and crushed child seat, you don’t expect them to be followed by a smiling toddler back at home after a hospital stay. But US mum Kylee Barrett will get to tuck her son Hunter into bed tonight because he was safely secured in a properly installed child car seat. Almost a year ago today, Kylee was driving her five-year-old son Kolton to school, with Hunter also in the car, when she hit a patch of black ice. The car flipped and landed into trees, which crushed the side of the car where two-year-old Hunter was sitting. The car was totalled and Hunter’s car seat was destroyed, but not before it managed to save his life. Kylee set up a GoFundMe page to help with costs not covered by insurance and her story is still helping to raise much needed awareness about the importance of having your car seats properly fitted. 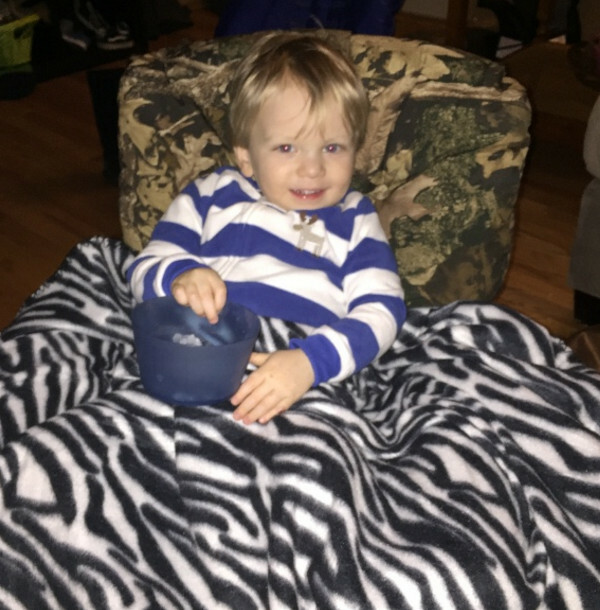 “Hunter was in his rear facing safety 1st car seat in the accident, which saved his life without a doubt,” Kylee wrote. 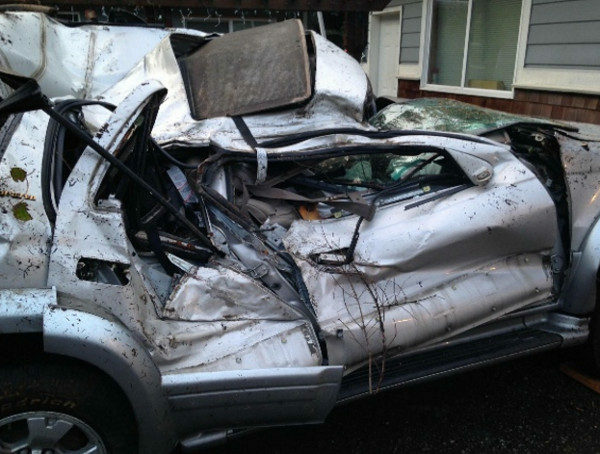 If ever you doubted the need to triple check your car seat is installed correctly, just look at the images of the car wreckage and the gut-wrenching photo of the crushed car seat and know a little boy survived that. Heather Viers is a passionate campaigner for car seat safety who used the photo of Hunter’s crushed seat to spread the word on Facebook. “This specific seat retails for $100 (AUS $136). It’s NOT a ‘nice’ seat, but it further illustrates the point that you don’t have to spend a fortune to keep your child safe,” Heather wrote. As well as having many paranoid moments as parents, we also all have moments of complacency. Just ask yourself, how often do you check the car seat is still secured properly and do you actually know how to assess if it is fitted right to begin with? Are you aware of when your child needs to transition to the next child restraint configuration? The Australian Child Restraint Resource Initiative (ACRI) specialises in child restraint training and support. Its website explains how many factors need to be considered to ensure your child’s safety while travelling. Babyology also recently posted what you need to know about Australian car seat laws. To ensure your car seat is fitted properly, you can visit an authorised restraint fitting station in your area. Most will only charge a small fee and provide invaluable tips and instructions for you to follow in future.